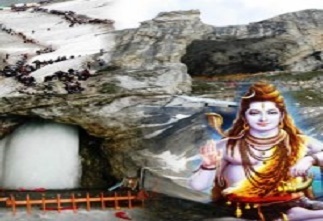 If you are traveling to Kashmir for first time, If you have some leisure time; then opting for Amarnath Darshan by Helicopter - 4 nights / 5 days package tour will be best option. 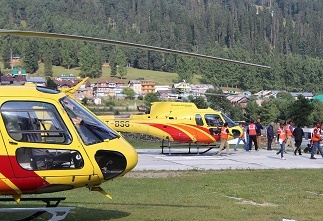 4 Nights / 5 days trip to Amarnath Ji by Helicopter offers you ample time to visit holy shrine of Amarnath ji as well as bambozzle you with the beauty of Kashmir. Day 1 : Srinagar : Arrival at Srinagar where guest will be greeted by representative of Amarnath Ji Yatra- A Unit Of J&K Group. After formal meet and greet, you will be escorted towards Baltal for overnight stay. Check in at Hotel in Sonamarg..
Day 2 :Neelgrat - Holy Cave - Neelgrat - Sonamarg : Early morning catch the helicopter from baltal to Holycave. (The Helicopter stops 5 kms away from Holy cave since past 2 years.) Proceed for Darshan of Holy Amarnath ji and return back to Baltal by evening. O/n Hotel. Day 5 : Departure : As per flight timing, drop at Srinagar airport. Tour ends.